Setting up an event can be challenging. Think about all the logistics involved with the attendees, activities, payment options, registration, and time. Without a platform in place, you might see a long queue at your event. Using a conference registration software can help simplify your tasks and be a reliable source for your event needs. 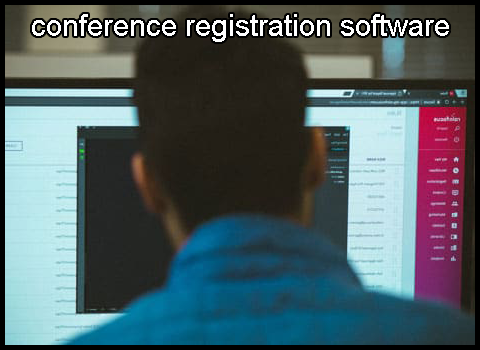 Conference registration software is a platform that helps planners organize and manage events, such as seminars, trade shows, and product launch events. If you are planning to hire professionals who offer conference registration software, trust only the experts. RainFocus created a platform that focuses on the attendee’s experience and helps you get higher returns on investment (ROI). Through our conference registration software, we gather useful information from your events. We go beyond just data collection using our conference registration software. The data gathered using a conference registration software will be analyzed for actionable insights. Through a better understanding of previous events, you will be able to pinpoint areas for improvement for succeeding events. Imagine that you have hundreds of participants at your event, and they all have to fill out forms and pay at the entrance booth. Participants may have to wait in line before they can get into the venue. Long queues may leave a bad impression on attendees, who may opt not to attend your future events. To make things convenient for your participants, use a conference registration software. Participants can register anytime and anywhere as long as they have Internet access and a handheld device. They simply have to key in their information, and they will receive a transaction receipt. Conference registration software can also simplify group registration. An attendee can enlist their entire group using this platform. Encoding information from registration papers can be time-consuming. Aside from the process being tedious, it is prone to inaccuracy. With conference registration software, attendees can simply type in their information into your database. This can save you several hours a week, which you can use to focus on something more productive. You can use the saved time to gather more sponsors, polish the lineup of activities, and attend to other concerns. Hiring temporary staffers for events can be costly for you. These people are those who might do mundane tasks, such as encoding information from registration papers. A conference registration software can save you money that you would have otherwise used to pay your staff. Instead, you may use this saved money for other aspects of your event. Paying through cash or check at the frontline may cause delays at your event. Using conference registration software, your attendees can simply key in their credit card details when they register online. The transaction can be processed in a matter of seconds. Your participants will also receive a confirmation receipt. Using and paying for different conference registration software per event can be expensive. It will save you money if you can have a conference registration software that can be customized depending on the event. RainFocus understands the importance of having a flexible platform for events. Our conference registration software features a drag-and-drop insight tool that allows you to personalize various aspects of your event, such as registration, ticketing, analytics, and surveys. Are you planning an event? Simplify your tasks by using a conference registration software. Feel free to contact RainFocus today to learn more about our conference registration software and services. We are here to make your job easier. Check out our website for more information about our conference registration software. We do not just stop at simply gathering data from those events; we create actionable insights out of it. Our platform can stay connected with every development and opportunity from all your gatherings. Every event presents a lot of challenges. You can customize our platform for the specific needs of your events. Using our user-friendly drag-and-drop feature, you can personalize the platform for registration, content, and exhibitor workflow. Our platform can help you drive higher engagement from your attendees. You can use our platform to provide personalized content and recommend activities to your attendees. RainFocus was born out of the need of a platform that can connect experiential activities to valuable return on investment (ROI). Event management technologies do not have the means of combining experiential data to come up with actionable insights. As a result, marketing teams tend to base their decisions on instinct rather than on reliable data. We worked on fixing this crucial gap. Our company designed a platform that serves as a record system of experiential data and a source of insights. Using real data-driven intelligence, we can drive significant ROI through experiential activities, behaviors, and preferences. Existing event management technologies are not flexible enough to accommodate the different needs of organizers. These systems are isolated, expensive, and complicated. Given this situation, we decided to create our own event management solution that utilizes data and foster innovation. Built from scratch, our platform manages all aspects of events without expenses for maintenance and development. Armed with this platform, we are here to revolutionize the way organizers view and handle event management. We are here to help planners get the most out of their events using valuable data. Take charge of every aspect of your event using our platform. Draw more first-time attendees and increase the number of repeat participants using easy registration paths. We make registration easy. Our platform can help you generate reports and dashboards that you can cascade to your team. These reports keep every staff member in the loop with every aspect of the event. Drive for personalized and engaging experience for participants in your event. Sell greater sponsorships in several categories through improved targeting. Using our platform, you can also better manage all the paperwork more efficiently. Our customizable attendee management feature can highlight the most actionable item in your events for better efficiency. Get higher session engagement by checking insights gathered from all of your events, all in one place. Improve quantity and quality of leads and average contract value. Let our platform help you handle tasks, schedules, presentation files, and behaviors. With better efficiency, you can focus on the more important things in your event. Instead of spending hours on mundane tasks, you can direct your attention to the speaker involved in your event. Check your participants’ engagement in all of your events. Use our platform to improve content to serve your audience better. Connect your participants to experts through our meetings tool. You can also use this tool to set up meetings and strengthen relationship between attendees and experts. Are you planning to set up an event? RainFocus offers a platform, tools, and features that planners can utilize to streamline and make the most out of their event. Feel free to call or email us to schedule a demo. You may also visit our website to learn more about our company and our platform. If you have an event issue, we have the solution. We can help you manage your next event with event management software.